We’re inching closer and closer to the release of Thor: Ragnarok, where we’ll be treated to hours of Chris Hemsworth, Cate Blanchett, and the eternally delightful Jeff Goldblum—who even in smaller doses, like this adorable 10-second synopsis of his upcoming film, is still the grandest of masters. While chatting with GamesRadar, Goldblum was asked to describe the plot of Thor: Ragnarok in 10 seconds. In true Goldblum style, he took his sweet time—about 17 seconds instead of the requested 10—but managed to not only give a concise synopsis of the film, but also add a nice plug for himself. 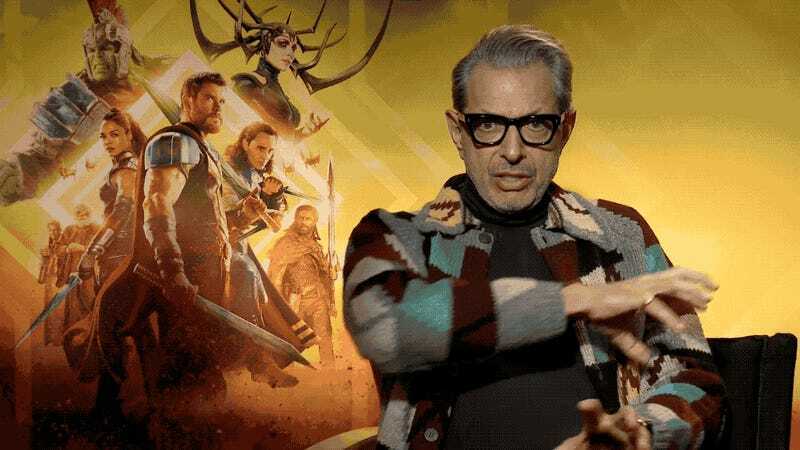 “Thor finds out much about his family and tries to save his planet and the universe, while overcoming the machinations of a grand funny fun figure such as myself,” Goldblum said. Thor: Ragnarok comes out November 2. You can check out the interview below—his movie synopsis comes in around 1:25.